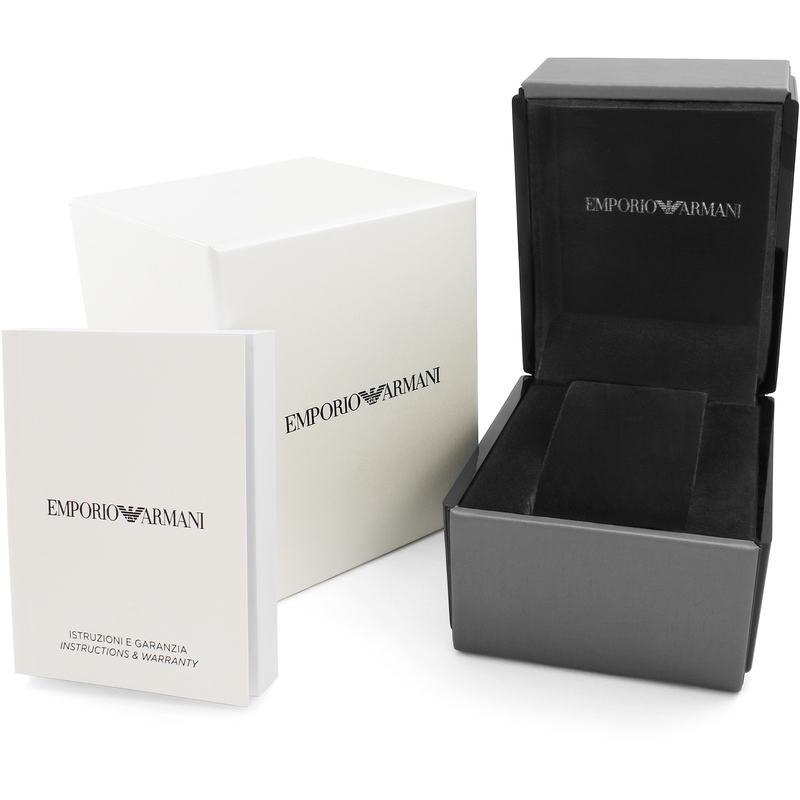 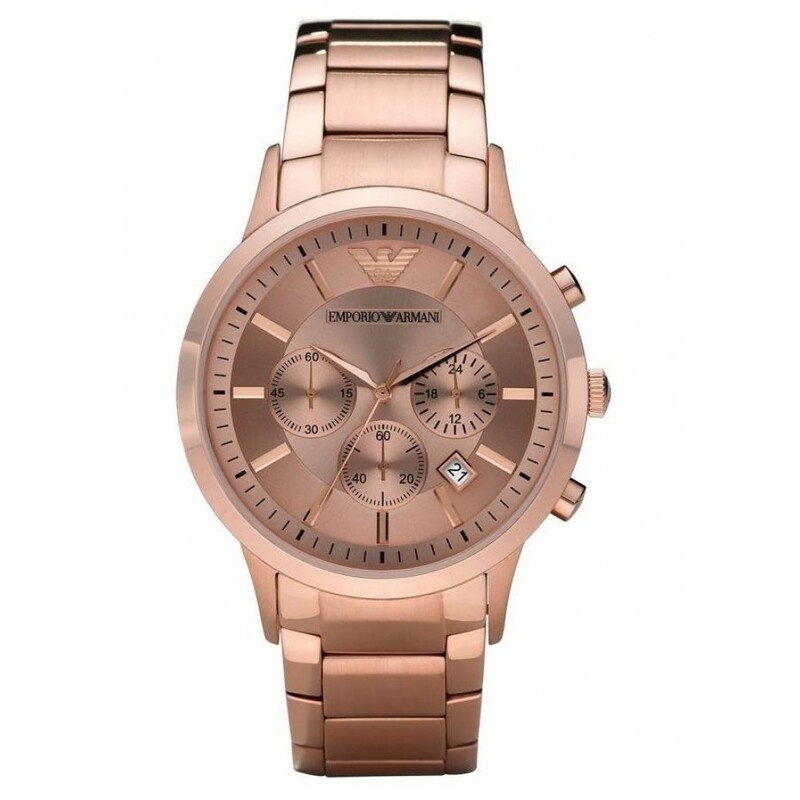 This is an elegant men's watch from Emporio Armani in PVD rose gold plated stainless steel, featuring a high-shine dial with date function and three sub-dials. 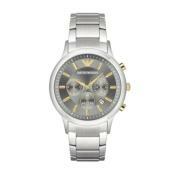 It is also fitted with a chronograph Japanese Quartz movement. 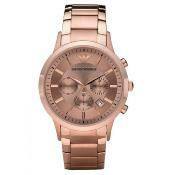 This watch fastens with a Rose Gold PVD/ stainless steel link bracelet and has a gold dial with gold baton hour markers.